received my sample a while back. Didn't realize we can write comments! The smell is awesome! IDK if it helped with snoring since I sleep alone, but I did wake up with energy! No more samples, page doesn't exist. I can't even get the "submit" button to work. This is an excellent product and my husband doesn't snore while wearing it. Tried it for the first time, it works pretty good. Thanks, these strips help me a lot living in the desert. we shall see -- but for a nose strip WHO in their right mind wants it scented???? so if you EVER EVER requested a sample in your life (like ONCE 7 years ago), they won't let you try the new scent. That stinks. I COULD see if they won't let you request a sample for a year, maybe two.... but almost a decade ago, and I can't try the new ones? phtttttttttttt. my email already exists? these things are terrible anyway keep me up all night. I like using lavender, so this will be great. Lavender is a nice smell. only 1 per email address. Can't wait till I can't breath right. ha! ha! So I can use the sample I got in the mail. failed, my email already existed. didn't help hubby at all. I got it yesterday and tried it last night. 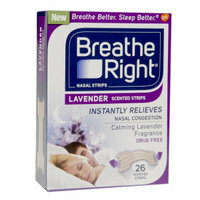 Between the way it worked and the lavender smell, I slept great. So today I went and purchased a box!!! Thanks for the great sample!! HUSBAND SAID IT DIDN'T MAKE ANY DIFFERENCE! They really help you breath. Thanks for inventing them!!! I've never used them or needed to but have got samples before and my mom loved them. I have tried these before and they are very good. We are going on vacation these will come in handy.